It has been years since actor Paul Walker left us but his memories and the imprints he left in everyone’s heart through his incredible movies is still alive inside us. Although Paul is no longer with us, his daughter Meadow Rain Walker is. And guess what, Meadow is following the footprints of her father. She hasn’t just acquired good looks from her father but also resembles him in actions and passion. Meadow Rain Walker is the daughter of Paul Walker and his former girlfriend Rebecca Soteros. Meadow used to live with her mother in Hawaii before she moved into her father’s house. Meadow spent 13 years with her mother but got fed up with her drinking habits and decided to leave her mother’s house. In 2011, Meadow Rain Walker started to live with her father in California. 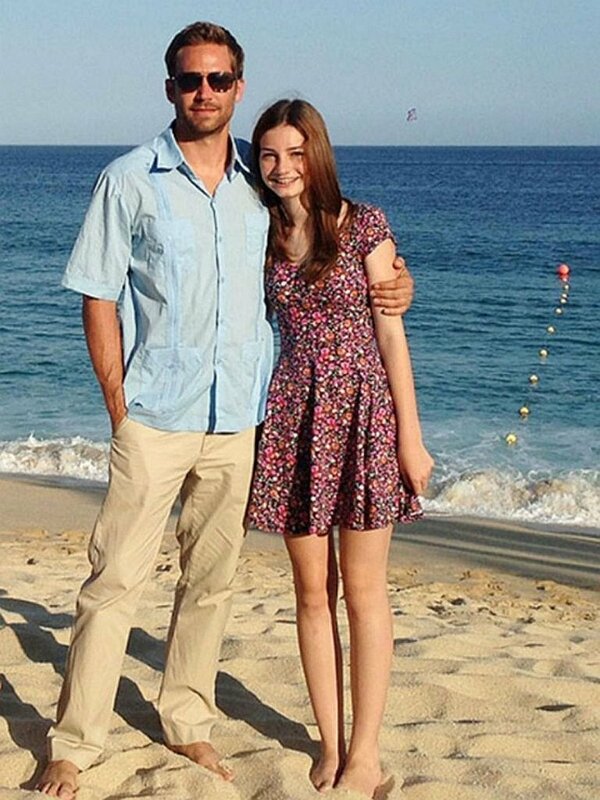 When Paul Walker died in 2013, Meadow used to live with him. Just in case you might not know, actor Vin Diesel is Meadow’s godfather. Also read, the Truth About Vin Diesel's Break Up Rumors With Girlfriend Paloma Jimenez, Will They Get Married? Although Meadow Rain Walker isn’t a celebrity, she has 1.5 million followers on her Instagram which has just 5 posts. Her posts don’t show any traces of boys but they are connected to her dad, Paul Walker. Reflecting on my father, I found myself reflecting on his passions. His passion for the ocean, his passion for rescuing animals, his passion for helping people and his passion for spontaneous goodwill. On Paul’s 2015 birthday, Meadow Rain Walker started a foundation named The Paul Walker Foundation where she requested everyone to make a donation in order to support Paul’ charity Reach Out Worldwide. Most of Meadow Rain Walker’s Instagram posts ask her followers to support the foundation. She has been inactive since 20th July 2016. It really makes us happy to see Paul Walker’s daughter Meadow Rain Walker working for a great cause and fulfilling her father’s dream while a lot of celeb children get spoiled by money and drugs. We hope Meadow Rain Walker finds more success in coming days. We are pretty sure that the right man is waiting for and she’ll meet him eventually sooner or later. For more updates keep in touch with Frostsnow. Actress Jeri Lynn Ryan married Christophe Eme divorcing Jack Ryan. Find more.